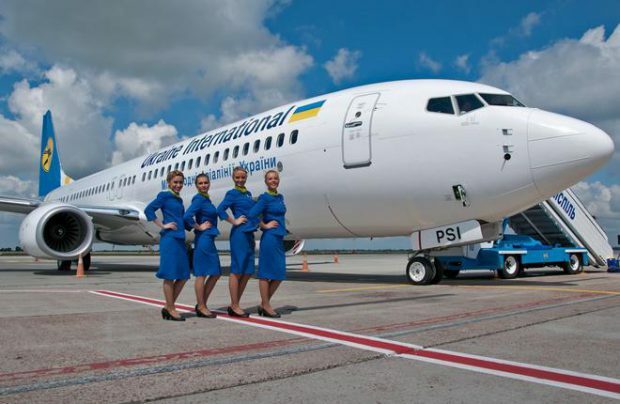 Ukraine International Airlines (UIA) is up to get at least 8 narrow-body Boeing 737NGs in 2017, the president of the Ukrainian flagship carrier Yuri Miroshnikov announced in his interview to the Interfax-Ukraina news agency. The UIA top manager admitted, however, that the plans might be adjusted along the way. “UIA has seriously tightened its requirements in terms of aircraft age and actual condition of cabin equipment, so we are negotiating with lessors on whether the delivery scheduled can still be achieved. We do not intend to temporize with this one – if we are not able to get 8 aircraft which would meet our requirements, we will have to reconsider our route strategy,” Miroshnikov emphasized. As for the long-range fleet, the air carrier is currently “elaborating a rather promising project,” but no further details are available at the moment, the news agency reports. “We hope the company will come up with good news in this respect,” the head of UIA says. According to Miroshnikov, the airline is not planning to add Embraers to its fleet though, contrary to earlier speculations. In January-September 2016 the company received 8 Boeing 737-800s with one of them, factory new (leased from American lessor Varangian Leasing LLC). By the end of the year the operator is to get one more aircraft of this type. The medium–range fleet expansion allows the company to increase flight frequencies on the most popular routes and reduce overbooking risks, UIA reports. At the same time the company is gradually phasing out Boeing 737CLs. By the end of 2016 UIA will get rid of two aircraft of this type and is planning to completely stop operating Classics by the end of 2018. Currently the UIA’s fleet consists of 39 aircraft, including 4 wide-body Boeing 767s, 9 Boeing 737-300s, 20 Boeing 737NGs (-800/-900), 5 regional Embraer E190 jets and 1 cargo Boeing 737-300F.